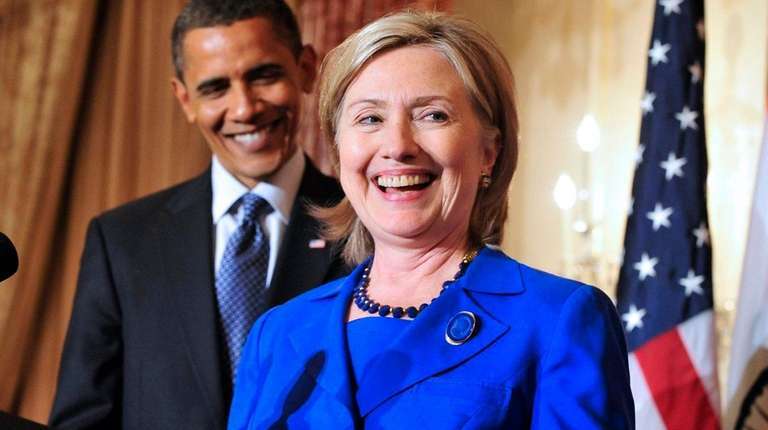 President Barack Obama’s full-throated endorsement of Hillary Clinton could prove valuable in breaking a 156-year jinx. No Democrat who served out a full term has been able to hand over the office to another Democrat since before the Civil War. But 2016 may be unique because of a rare circumstance: The exiting Democratic president is relatively popular now and has a strong bond with his would-be successor. In 2000, Vice President Al Gore decided to distance himself from President Bill Clinton in the aftermath of the Monica Lewinsky scandal. Clinton, whose good standing with a majority of voters had survived an unpeachment crisis, said later he believed that if Gore had accepted his help and embraced his record, he would have beaten Republican George W. Bush. In 1968, President Lyndon Johnson was deeply unpopular because of the morass of the Vietnam War. Vice President Hubert Humphrey tried to stake out his own plan for peace in the general election, but it was no use. He lost to Republican Richard Nixon. In 1952, President Harry Truman backed Adlai Stevenson. But the stalemate in the Korean War had sunk Truman’s popularity. Stevenson lost to Republican Dwight Eisenhower, whom Truman had once tried to recruit to run for president as a Democrat. In 1920, President Woodrow Wilson was too incapacitated by health problems to be of help to Democratic candidate James Cox, who lost to Republican Warren Harding. In the second half of the 19th century, Presidents Grover Cleveland, Andrew Johnson and James Buchanan had little use for their would-be Democratic successors. All lost, in 1896, 1868 and 1860, respectively. The last Democrat to succeed a Democratic president who had not died in office was Buchanan in 1856. But it wasn’t a friendly takeover. Franklin Pierce wanted to run for a second term. Buchanan defeated him for the party’s nomination.